I wasn’t happy with the noise I was getting from the chain with the last setup. 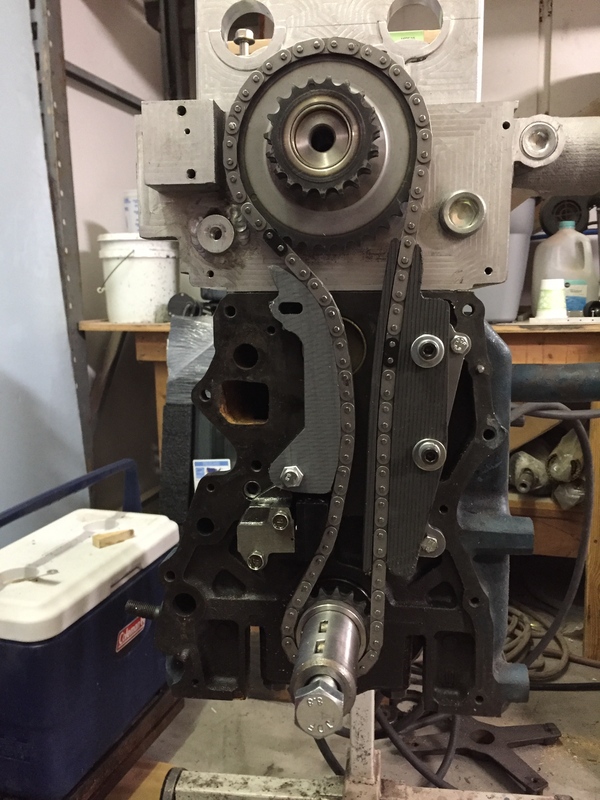 The custom guide worked well but the pivoting rail on the tensioner side was really noisy. I tore it all back apart and ended up going with two custom fixed guides and a stock L6 lower tensioner. So far this is the quietist of all the setups so far. I still have a tiny rattle between 2500 and 2800. I’m probably going to live with that for now. The Crane lobes are symmetrically ground and I have been told by multiple sources this can cause some issues with noise. I also just get these in. 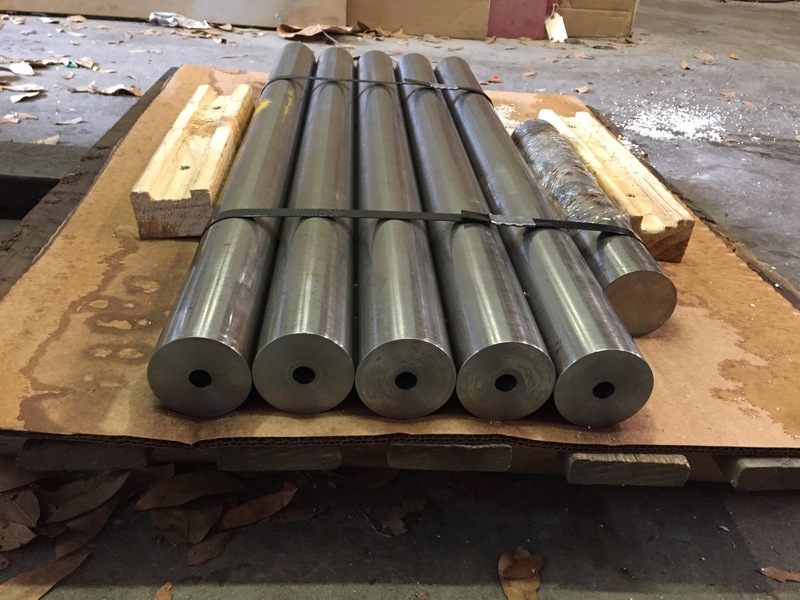 Gun drilled S7 tool steel cam core blanks. I’m switching to S7 for a number of reasons. 8620 cores require a lot of steps and they are case hardened. The biggest problem being I need to have a pretty good idea of lobe specs before they harden them. The S7 is through hardened so that gives me a lot more options production wise. ← So this is what my car looks like right now.